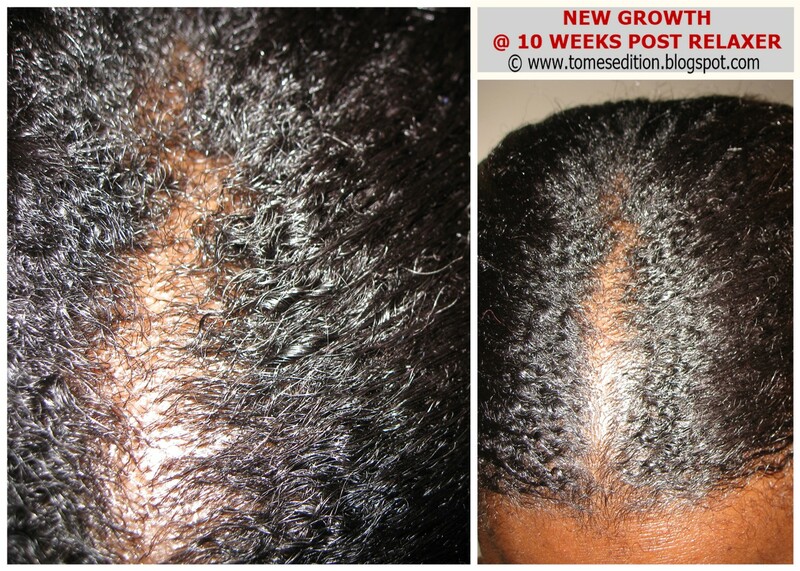 They say what you put on the inside of your body shows up on the outside and I have been trying out a new food supplement more regularly and my new growth has been growing faster than I expected. No its not vitamins. 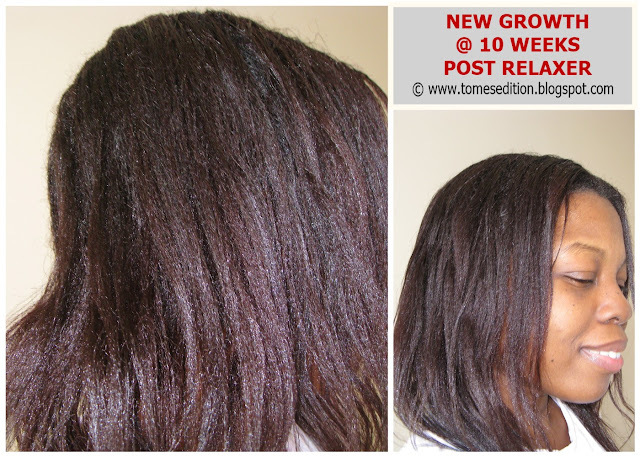 I’m still testing it out now and will let you know if it proves to produce more new growth for this relaxer stretch. The new growth I’m experiencing right now is the amount I experience at 14-16 weeks post relaxer. I’m currently 11 weeks post relaxer but this photo was taken last week when I realized I needed to sleek down my edges for a neat look. I’m not fussy on tamed edges but sometimes a girl gotta look extra cute and bringing out some gel will certainly do that. I used Aloe Vera gel on my edges, tied down my hair with a silk scarf for 1 hour to achieve this look. 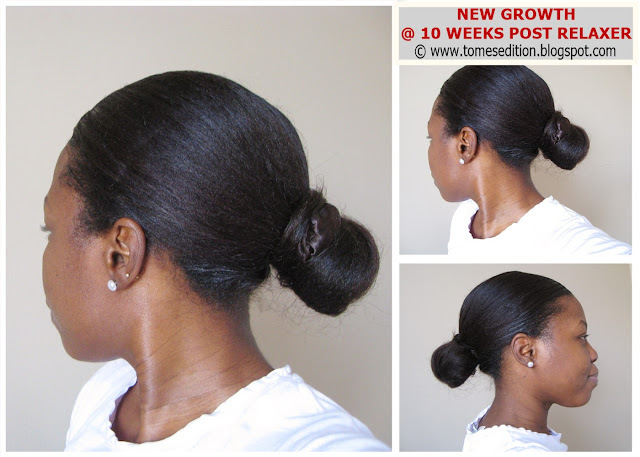 With my sleek edges, protective style of buns has been my go to for the last couple of weeks. I love the loose wavy texture of my hair and can’t wait for all of my hair to look the same way. I know most people prefer the tight curl texture but my preference is the loose texture. 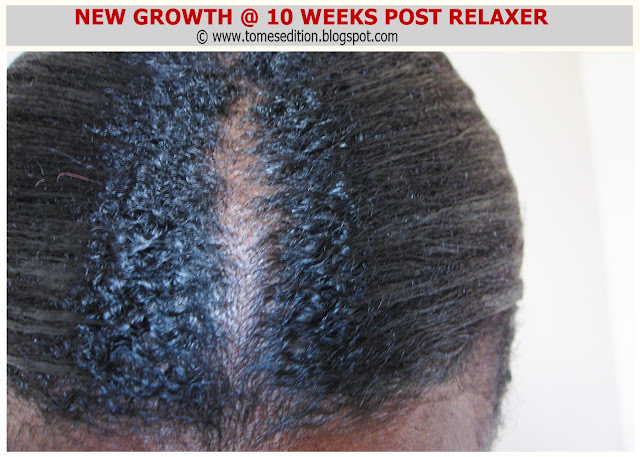 How many weeks post relaxer are you? That's a lot of growth for 10 weeks. I can't wait for the reveal of the product. It's def working! Wow, Tomes! That's so much growth. Congratulations on the new growth. I love the progress. Great work, Tomes! Wow! That's amazing. Well done. What is the new food supplement you've been trying out? I didn't see it in any of the blog posts.